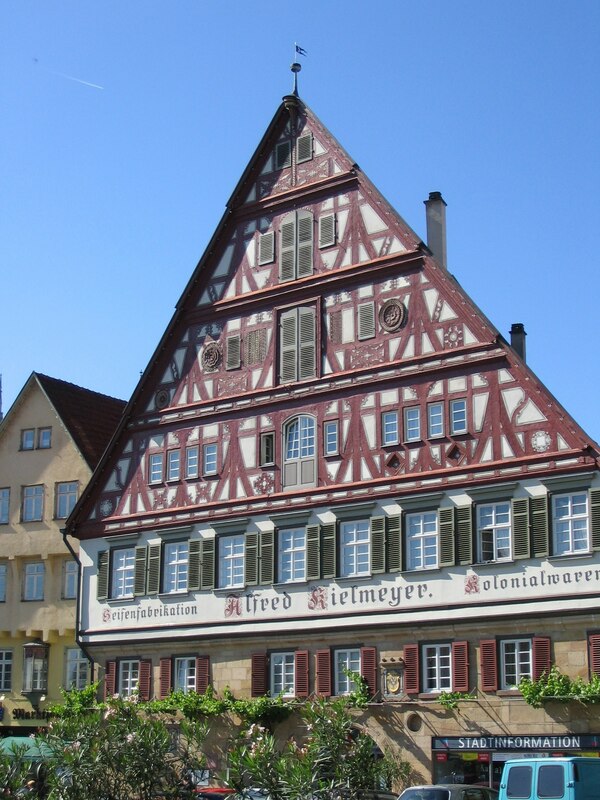 The magnificent Kielmeyerhouse is one of the most beautiful half-timbered houses in the city. It was built in 1582 as the winepress of St. Katharine's Hospital, which stood on the Market Square form 13th century to 1811. The grapes from the surrounding vineyards which belonged to the hospital were pressed to get the grape juice. The towering, Franconian half-timbered gable bears witness that the hospital was once one of the wealthiest institutions in the town. The Kielmeyershouse survived the demolition of the hospital in the 19th century without suffering any damage. Particular architectural features are the "Keltermännle" (the little black man of the winepress) and the emblem of St. Katharine.